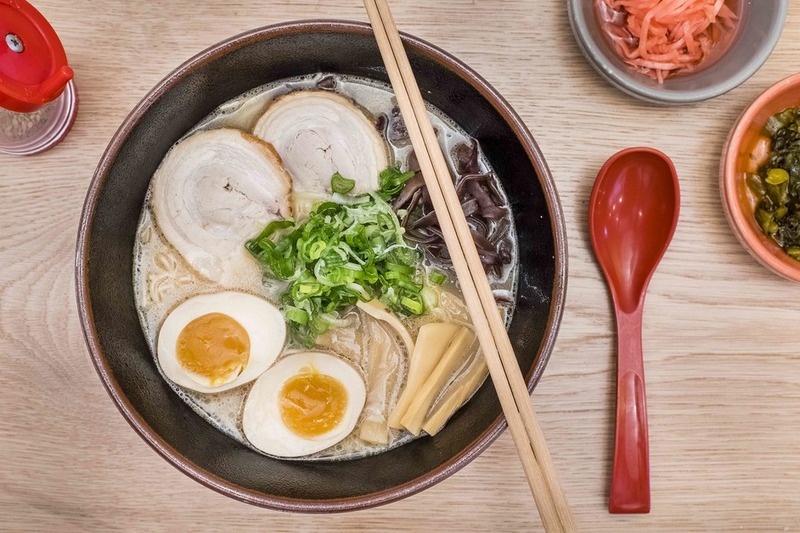 Enjoy Japanese food in a pared back space just off Wardour Street which takes inspiration from Tokyo's ramen-ya shops . Eat at Yamagoya Soho and you can perch on stools up at the window or at the kitchen counter if you want to watch the chefs at work. Founder Masatoshi Ogata has been perfecting handmade noodles - immersed in a rich tonkotsu broth - for close to 50 years. Here they come topped with slices of roast beef or g arnished with Japanese chashu pork belly. Chicken bone broth, rice bowls and cold ramen salads are also on the menu, available to eat in the bright space - lined with pale slatted oak and hung with paper lanterns - or to take away. A t the same address, on the 1st floor, you'll find Shuang Shuang , a Chinese restaurant with a conveyor belt of raw ingredients to make up your own hot pot. Yamagoya Soho gyms, sporting activities, health & beauty and fitness. The best pubs near London Yamagoya Soho. Yamagoya Soho clubs, bars, cabaret nights, casinos and interesting nightlife. Where to have your meeting, conference, exhibition, private dining or training course near Yamagoya Soho. From cheap budget accommodation to luxury 5 star hotels see our special offers for Yamagoya Soho hotels, including Every Hotel Piccadilly from 91% off.